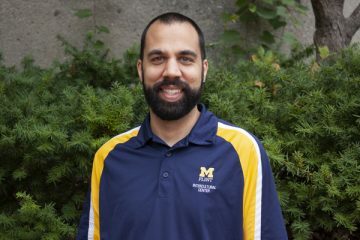 David Luke started this May as director of UM-Flint’s Intercultural Center. He discusses his impressions of the university, the goals and purpose of the center, and more in this Q&A with University Communications & Marketing. What would you like to share with the university community about your professional background, and about your goals within this position? First, I am a sociologist; I earned a doctorate in sociology and my research and teaching interests focus on social inequality broadly and race and ethnic relations more specifically. I come to this position with experience working in another university in similar roles. My personal experience as a multiracial undergraduate student at Grand Valley State University, and my positive experiences with their Office of Multicultural Affairs, informs my perspective on the importance of this work for the campus community in improving the sense of belonging, advocating (particularly for marginalized populations), and providing co-curricular educational opportunities outside of the classroom to have critical dialogues about important issues. My goals for the first year of the center are primarily related to establishing the Intercultural Center (ICC) as a space where everyone is welcome to come and feel that they belong, bridging the communication gap that sometimes exists between students and other constituents (administration, faculty, and staff) on campus, and connecting with academic departments and community partners, tapping into their expertise as we develop educational dialogue-based programming. My hope is that after the first year, people will see the ICC as a hub of academic and community building efforts on this campus, and we will continue to build momentum from there. 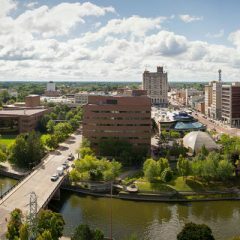 One of the appeals of UM-Flint for me was its location in a city that has for many years seen some of the negative consequences of deindustrialization and joblessness; I remain excited to be a part of a university in the heart of the city that has the potential to help train and prepare our students to thrive in this new economic reality in the region. 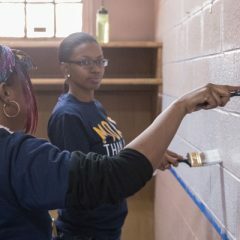 In that, I see a great deal of purpose in the work at UM-Flint. Since I arrived in May, I’ve spent a good portion of my time here getting the lay of the land and hearing from students, faculty, and staff about their experiences at the university. While, like any university, there are wide-ranging perspectives, I gleaned two main takeaways. 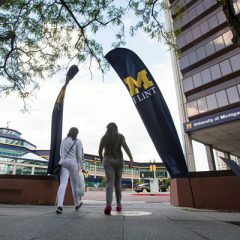 First, I’ve been overwhelmed by how consistently people speak highly of the remarkable students that come to UM-Flint. Second, and along those lines, I have also been overwhelmed by the number of faculty, staff, and administrators that care deeply about student success and want our students to succeed. Through these exchanges I’m energized by the collective desire to do what’s best for students and continue and build on some of the great efforts so far. What should students and the university community overall know about the Intercultural Center? How can people get involved? The Intercultural Center is here because of students. The ICC, and my position here, are a clear indication of a time when students expressed concerns and needs to administration, and administration responded with a commitment to space, resources, and to working toward an improved experience for students. For me, that’s a great place to start. Some information about the ICC is available at our website, but I can briefly summarize it. The work of the ICC will be focused around three “pillars”, (1) Belonging, (2) Advocacy, and (3) Education. Whether it’s providing opportunities for people with some shared identities to connect across disciplines or areas and build community, serving as a bridge for communication between students and upper administration, or providing spaces for critical dialogues that bring in our faculty expertise as well, all of our programming will be oriented toward these pillars and on the foundation of social justice, which basically calls for working together to create a campus community where all people are respected and valued. What are you looking forward to in the upcoming academic year? We will start the year with our Intercultural Cookout, which is a celebration of the new school year on Monday, September 17 from 4-6pm in McKinnon Plaza. We will provide food and there will be student organizations and offices tabling. The event is co-sponsored by a number of student organizations with missions, visions, and values that connect with what the ICC is all about. Everyone is welcome at all ICC events. The Intercultural Cookout, though, is just the beginning, and in the coming weeks we will be releasing our calendar for the fall semester. It will be available on our social media – stay connected with the ICC by following us on Facebook, Twitter, and Instagram @umflinticc.